Salim Akhobekov from Kabardino-Balkaria, who served five days of arrest for dancing lezginka, stated he got health problems. 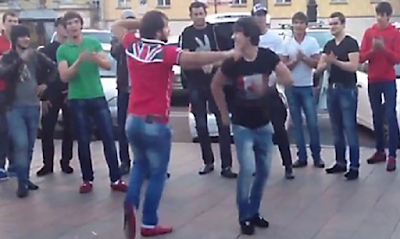 Angela Maxidova, an eyewitness to the lezginka dancer's detention, noted that Salim Akhobekova was thrown to the ground during the detention and beaten. The "Caucasian Knot" has reported that after his release, Salim Akhobekov has been hospitalized to the hospital in Nalchik and then to the hospital in Pyatigorsk, where he still stays. "I felt bad immediately after the detention, during which I got severe blows," Salim Akhobekov said on August 23. He has noted that every day he got worse, but he was not provided with medical assistance under arrest. "Medical officers say that I got injuries of internal organs and brain concussion," reported the young man. According to Salim Akhobekov, in Gelendzhik, when he in handcuffs was put in a police patrol car, he was without shoes, slipped and severely hit his head on the policeman's head, and that fact resulted in the initiation of a case of violence against a public official. The incident in Gelendzhik is exhausted, and Salim Akhobekov will not be prosecuted, believes Asker Sokht, the deputy chairman of the Krasnodar NGO "Adyge Khase". "I watched the video and did not see any signs of hooliganism and resistance in the Salim Akhobekov's actions," said Alexander, an advocate from the human rights organization "Agora". He believes the defence of Salim Akhobekov should appeal against his arrest.